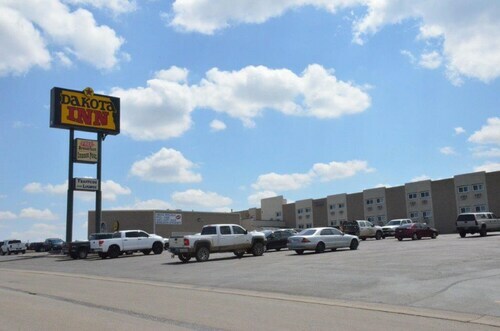 Situated near the airport, this hotel is 2.2 mi (3.5 km) from Minot State University and 2.9 mi (4.7 km) from Dakota Territory Air Museum. Scandinavian Heritage Park and Roosevelt Park are also within 6 mi (10 km). This family-friendly Minot hotel is within 2 mi (3 km) of Minot State University and Scandinavian Heritage Park. Roosevelt Park Zoo and North Dakota State Fairgrounds are also within 3 mi (5 km). Minot Station is 22 minutes by foot. This family-friendly hotel is located in the city center, within 2 mi (3 km) of Dakota Square Mall and Scandinavian Heritage Park. Roosevelt Park Zoo and Minot State University are also within 3 mi (5 km). Situated in Minot, this hotel is within 2 mi (3 km) of Dakota Square Mall, Scandinavian Heritage Park, and Roosevelt Park Zoo. Roosevelt Park and North Dakota State Fairgrounds are also within 3 mi (5 km). 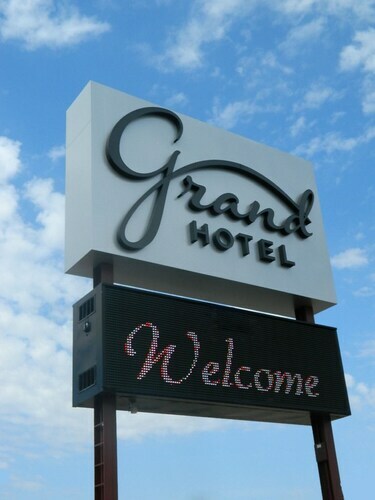 Located in the center of Minot, this family-friendly hotel is within a 15-minute walk of North Dakota State Fairgrounds and Roosevelt Park Zoo. Scandinavian Heritage Park and Minot State University are also within 3 mi (5 km). This family-friendly hotel is located in the city center, within 3 mi (5 km) of Dakota Square Mall and Scandinavian Heritage Park. Roosevelt Park Zoo and North Dakota State Fairgrounds are also within 6 mi (10 km). Situated near the airport, this hotel is 0.9 mi (1.4 km) from Dakota Square Mall and 2.4 mi (3.9 km) from Scandinavian Heritage Park. Roosevelt Park Zoo and Roosevelt Park are also within 6 mi (10 km). 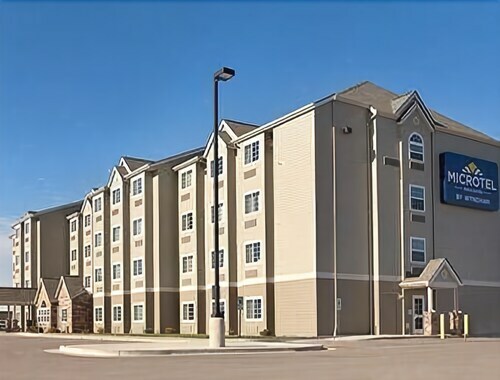 This family-friendly Minot hotel is located near the airport, within 3 mi (5 km) of Dakota Square Mall and Scandinavian Heritage Park. Roosevelt Park Zoo and North Dakota State Fairgrounds are also within 6 mi (10 km). 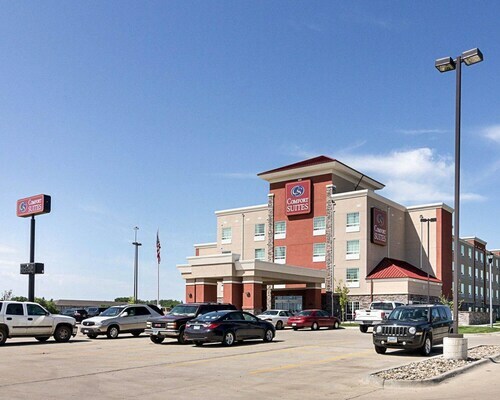 Situated in a shopping district, this hotel is 0.9 mi (1.4 km) from Dakota Square Mall and within 3 mi (5 km) of Scandinavian Heritage Park and Roosevelt Park Zoo. Roosevelt Park and Minot State University are also within 6 mi (10 km). 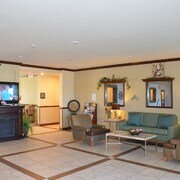 Situated in Minot, this hotel is close to Dakota Square Mall, Scandinavian Heritage Park, and Roosevelt Park Zoo. 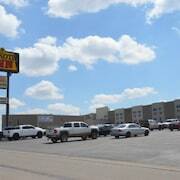 Local attractions also include Roosevelt Park and North Dakota State Fairgrounds. 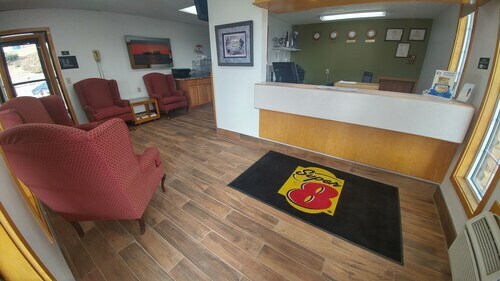 Located in the heart of Minot, this motel is within 3 mi (5 km) of Scandinavian Heritage Park, Roosevelt Park, and Dakota Territory Air Museum. North Dakota State Fairgrounds and Minot Air Force Base Visitors Center are also within 12 mi (20 km). Minot Station is 18 minutes by foot. 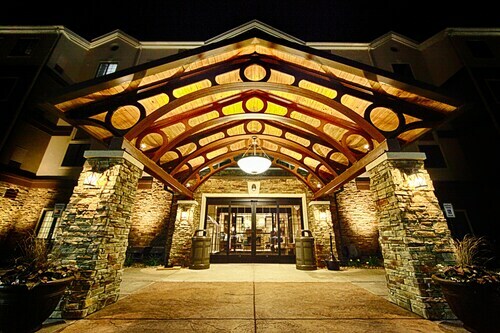 Situated in the suburbs, this hotel is 1 mi (1.7 km) from Dakota Square Mall and 2.1 mi (3.4 km) from Scandinavian Heritage Park. Roosevelt Park Zoo and Roosevelt Park are also within 6 mi (10 km). The room was clean and modern and the breakfast area was clean and well stocked. Worst stay at any Super 8 ever. The room wasn't cleaned. The waste baskets weren't emptied. The phone was broke. The carpet had questionable stains. The bathroom faucets leaked. The TV channel selector had broken buttons and it was a noisy motel. But the staff was great. They were friendly and helpful and made the stay bearable. 5.0 Clean, friendly and comfortable. Me and my children enjoyed this hotel, the rooms, the pool, we will be back!! Not to bad. The only issue I had was the tub was clogged and filled up with water everytime you took a shower. The room also had a bad order.